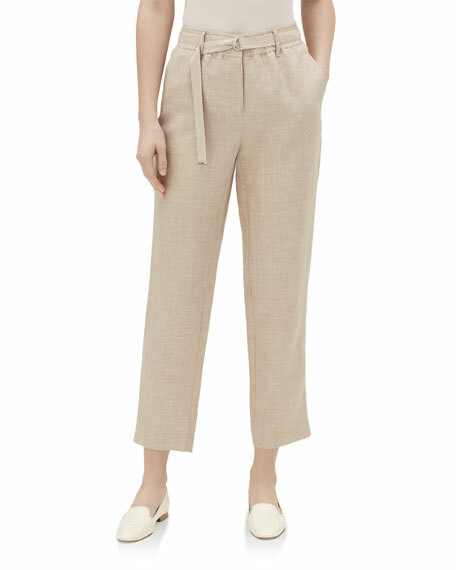 Lafayette 148 New York "Barrow" pants in crepe. Approx. 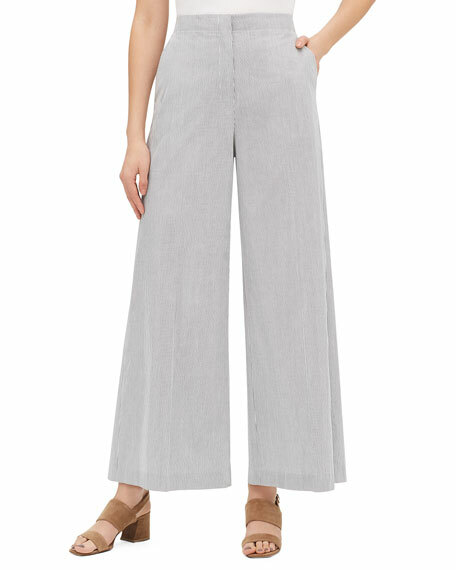 measurement: 10" front rise, 32" inseam, 41.5"L outseam, 17" leg opening. 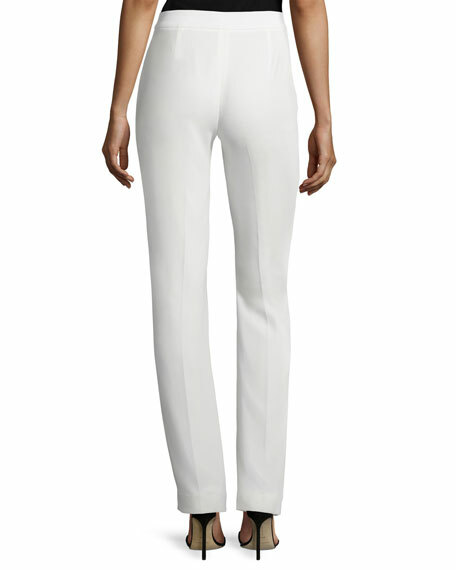 Sits above waist; flat front. Straight legs with center creases. 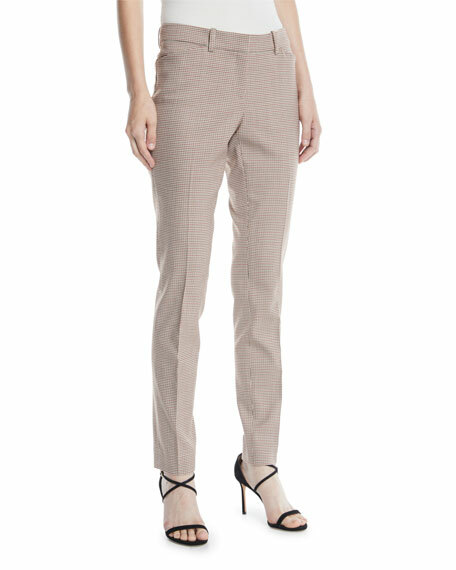 Jason Wu GREY satin back crepe pants. Side slip pockets; back besom pockets. Relaxed fit; straight legs. 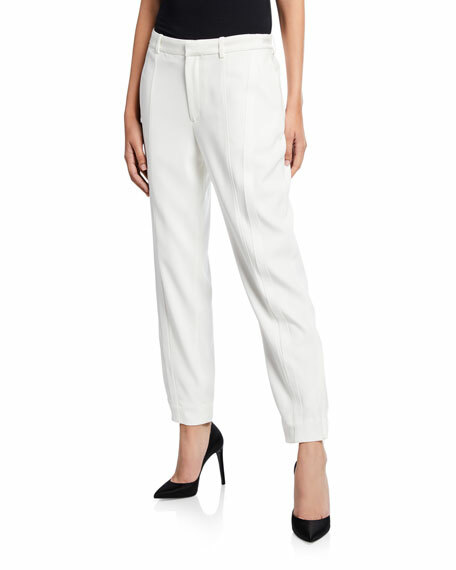 Elasticized cuffs at back. Ankle-length. Hook/zip front; belt loops. Triacetate/polyester. Imported.